The donation of properties can be used as a tool for estate planning. One just needs to be aware that donations are subject to donor’s tax. Read this to find out how much donor’s tax you need to pay when donating a property as part of estate planning. Real property, just like any other material possession, may not be brought to the afterlife. You need to transfer property sooner or later. Usually, however, the transfer of property prior to death is a taboo subject so many end up dealing with property transfer problems only after a person has died. It is always good to be prepared since we will all surely die – there is simply no escaping it, so might as well prepare for the inevitable. Why donate your properties prior to death? On another note, it is usually the case that the family spends a lot for medical care prior to death, and because of this, the family’s cash reserves are depleted. If the family is not liquid and they need to pay the estate tax within six months from the time of death, many times the family is forced to sell their properties below market value because they are under time pressure. It is during these pressure points that many investors are able to buy good properties at a good price. I don’t want to view it as taking advantage of the misfortune of others – rather, I want to think of it as the investors helping the family solve their cash problem. If no one bought the property, the family would be in a worse situation. Another problem that may arise upon death is that the children or heirs will be fighting each other for their “rightful” share of the deceased’s property. I don’t think any parent would want their loved ones to be fighting over money or property. 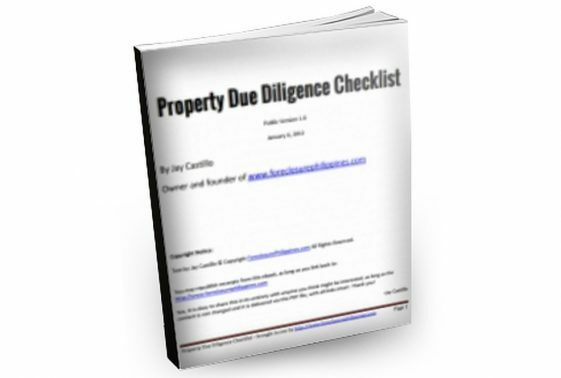 If the properties are already distributed as agreed upon by all parties prior to death, then this problem may be alleviated. Lastly, I believe that a person who already thought in advance of the transfer of properties prior to death, and actually had no more significant properties to transfer upon death, would be at peace upon death because he/she did not leave problems to his/her family. Dealing with grief is hard enough, it would be difficult to deal with the nitty-gritty taxes and what-not during a most stressful time. Of course, there are downsides to donation too – Who shall control the properties? Who gets the fruits/rental income? etc… etc… These may be answered by trusts and other legal documents. But for now, let’s deal with straightforward donation. Donor’s tax is imposed on tax on the transfer by any person, resident or non-resident, of a property by gift. For an overview on donor’s tax, please check the BIR website. The legal basis for donor’s tax may be found in Sec. 98 to Sec. 104 of the National Internal Revenue Code (NIRC) (aka the Tax Code). Check also the Donor’s and Estate Tax Regulations (BIR Revenue Regulations No. 2-2003) and Revenue Memorandum Order (RMO) No. 1-98. The donor’s tax base shall be the total value of the net gifts during the taxable year. The value of the net gifts shall be based on the fair market value (FMV) of the gifts at the time of donation. In case of real property, the taxable base is the fair market value as determined by the Commissioner of Internal Revenue (Zonal Value) or fair market value as shown in the latest schedule of values fixed by the provincial and city assessor (MV per Tax Declaration), whichever is higher. (Sec. 88 and 102, NIRC as amended). If there is no zonal value, the taxable base is the fair market value that appears in the tax declaration at the time of the gift. The term “net gift”, for purposes of donor’s tax, pertains to the net economic benefit which the done gets from the transfer. Thus, if a property encumbered with a mortgage is transferred as a gift, but the donee is required to pay the mortgage, then the net gift is computed by deducting the amount of mortgage assumed by the donee from the fair market value of the property given as a gift. If you donate on different dates within a year, a donor’s tax return shall be filed for each date of donation, and the donor’s tax base shall be based on the accumulated donations for the current calendar year (January 1 to December 31). Thus, the more gifts you make within a calendar year, the higher the probability that the donor’s tax will fall on a higher tax bracket. Note though, that donor’s tax previously paid on previous donations shall be deducted from the donor’s tax payable. The good news here is that you will get a fresh start for each year, and effectively, you can donate P100,000 in cash or in kind at zero donor’s tax. You may even donate cash which the donee can use to purchase property, so the property can be in the name of the donee. For example, a parent can donate cash for installment payments of property so that the property may be declared in their child’s name, since the child cannot purchase directly without a source of income. Please note that in case of donation to relatives (not strangers), only one return shall be filed for several gifts/donations by the donor (the one giving the donation) to the different donees (those receiving the donation) on the same date. If the gift/donation involves conjugal or community property, each spouse shall file a separate return for their respective shares in the said property. If you purchased a property below its fair market value (FMV), the difference between the FMV and the selling price shall be deemed a gift of the seller, subject to donor’s tax. This is also called a transfer for less than adequate consideration. Gifts in favor of an educational and/or charitable, religious, cultural or social welfare corporation, institution, accredited non-government organization, trust or philanthropic organization or research institution or organization, provided, however, That not more than thirty percent (30%) of said gifts shall be used by such donee for administration purposes. What are the Donor’s Tax rates? The donor’s tax rate will be based on the law prevailing at the time of donation. For donations made on January 1, 1998 up to the present, if the donee is a stranger, the donor’s tax rate is thirty percent (30%). A stranger is a person who is not a brother, sister (whether by whole or half-blood), spouse, ancestor and lineal descendant, or a relative by consanguinity in the collateral line within the fourth degree of relationship. This just means you are related by blood, and you count the degree by going up first to the person who “connects” you then go down. For example, your first cousin is within the fourth degree. You go “up” to your dad (1 degree), then “up” to your lolo (1 degree), then go “down” to your uncle who is your dad’s brother (1 degree), then “down” to your first cousin (1 degree), so 4 degrees in all. Note that a child who is legally adopted is not considered a stranger. Donations between corporations or from an individual to a corporation shall be considered as donations to a stranger. Within thirty (30) days after the date the gift is made. If more than one gift or donation is made within one year, a separate return should be filed for each gift/donation within thirty (30) days after the date the gift is made. Please note that under RR No. 6-2014, the e-BIR forms should be used. Prepare three copies of the donor’s tax return (two copies shall be for the BIR and one copy shall be for the taxpayer) and file them with any Authorized Agent Bank (AAB) of the Revenue District Office (RDO) having jurisdiction over the place of the domicile of the donor (that is, where the donor lives) at the time of the transfer. In places where there are no AAB, the return will be filed directly with the Revenue Collection Officer or duly Authorized City or Municipal Treasurer where the donor was domiciled at the time of the transfer. If the donor has no legal residence in the Philippines, file the return with Revenue District No. 39 – South Quezon City. In the case of gifts made by a non-resident alien (that is, not a Filipino citizen), the return may be filed with Revenue District No. 39 – South Quezon City, or with the Philippine Embassy or Consulate in the country where donor is domiciled at the time of the transfer. Same as other taxes, 25% surcharge plus 20% interest per year (under Secs. 248 and 249 of the Tax Code, respectively). If there is fraud, the surcharge shall be 50%. You may also pay compromise penalties in lieu of imprisonment as discussed in Revenue Memorandum Order (RMO) No. 7-2015 (the schedule of compromise penalties is in Annex A). 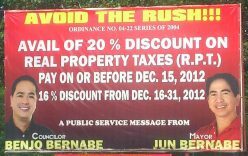 Please read BIR Revenue Regulations No. 2-2003 for a sample computation. Consult a lawyer with regard to the format of the Deed of Donation, and make sure that the donation is properly accepted and notarized during the lifetime of the donor. Sample Deeds of Donation can be found here and here. The Registry of Deeds will not allow you to transfer the title of real properties of a deceased person if there is no BIR CAR. Please make sure that you have the documents as enumerated in the Checklist of Documentary Requirements (CDR) for Donor’s Tax, which can be found in Annex A-5 of Revenue Memorandum Order (RMO) No. 15-03 (see page 6). To help you determine the computation for the estate tax due, you may refer to the ONETT (One-Time Transaction) Computation Sheet, in Annex B-2 (page 15) also of RMO No. 15-03. Please also check the sample computations in BIR RR No. 2-2003 and BIR Form No. 1800. Text by Jay Castillo and Cherry Castillo. Copyright © 2013 and onwards All rights reserved. 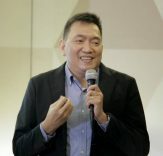 Pingback: Is the PERA Law (R.A. 9505) Ready for Implementation? First of, thanks for this very helpful blog. My boyfriend and I are about to get married in a year or two and his parents will donate/transfer one house under my boyfriend’s name. Is there a need to hire an attorney for such process or deed and how much would it cost to pay for the atty? i am only child of my mom.my mom donated to me her house and lot. we had the deed of donation notarized on july 3. the following morning, i boarded a taxi to internal revenue. when i reached there, i discovered i left the original tct in the taxi. went to register of deeds for affidavit of loss annotating. it was annotated. my mom died after a week. after more than a year, taxi came by the house to give back the tct. next i decided on affidavit of self adjudication for estate tax. papers are now in internal revenue and waiting for c a r (status inside is favorable by the reviewer). now my question is: will register of deeds accept self adjudication? We are in the process of estate settlement for our late father’s property. He passed away in 2007 and we thought all this time that the estate had already been settled. Only when our mother had a stroke in 2010 did we realize that the settlement had not been finalized. So we have been spending the past years piecing together all the documents and information we need for a proper estate settlement. 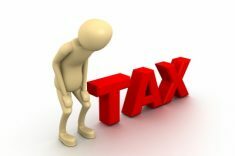 We know we will be subjected to penalties and surcharges already as far as the estate tax on his conjugal share is concerned so it is urgent that we attend to this at once. But we want to be careful and thorough so that we do not get trapped in legalese and unnecessary BIR and other government entanglements. If such is the case, will we not be better off waiting for my Mother to pass away and just settle her conjugal share in the estate afterwards? 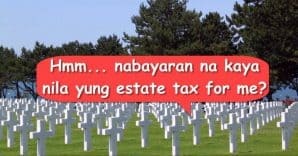 In such case, the estate tax due will be net of deductions (std deduction of P1M, funeral costs of P200k and medical costs of P500k)? The donor’s tax will allow for only a P100k deduction, right? I still have to do the computations but I am hoping that the estate tax will end up lower than the donor’s tax. I would appreciate your reply soonest so that we will not delay any further this process of settlement. Would you do me the favor of replying via email? Thank you and best regards! Been a fan of you and sir Jay for some time now, receiving email subscriptions from you. Thank you both. My husband and I have 5 kids, and through the course of our married life, managed to acquire 5 lots of 120sqm ea. We would like to go through the option of donating 1 lot/kid before either one or both of us passes this world. 7) What is the average duration of the whole process from start to finish? Hope you find the time to answer my concern, would really appreciate it. I am really impressed dear Atty Cheery Castillo that you are giving free information on estate planning. My dear wife passed away 2.6 years ago, we had three pieces of house and lot properties in our conjugal names and some bank accounts, and our two kids are on their own self-supporting, married and earning and starting already their own family and home — meaning they are not keen on inheritance from my wife or myself or from us both. We never did anything in the way of estate planning or last will and testament, etc., namely, about succession of our kids into our material resources upon our departure from this world. I consulted a free attorney in the local city hall and she introduced me to a lady expert in these matters of dealing with government offices, in re taxes, business permits, etc. I never had to deal with such experts for I did everything myself in all dealings with the government, principally paying taxes, but this time all the requirements to get our real property titles changed from conjugal names to the names of myself and our two kids proved to be beyond my courage though not really beyond my mental stamina. For a fixed price this lady expert promised me that she would have the titles changed pronto — it actually took her almost 2 years, because she trapped me into paying here in less than 3 months time the total price, and from that point onward I had to beg her to get her work finished. By God’s goodness which we call luck she did finally complete her contracted job with only 1,300 pesos extra, but the wait was excruciating on my part, knowing that at any time she could just stop working, or extort more money from me to continue, or challenge me to bring her to court or something else more drastic, which however is not may nature for I abhor violence. But at one point she was going that direction, to extort more money from me in order to finish her job; thanks to God she did not pursue that direction, I guess she still has a conscience. At the start she told me not to include my two kids in the transfer or change of ownership in the property titles, that will prevent unexpected woe on my part in the near future from the kids, for we never know when people will change to our disappointment and regrets, kids not excluded. So I accepted her suggestion. Now I have 3 titles in my name alone, but with the annotation valid for 2 years that anyone can challenge me in those 2 years period, which has now been completed since January 2013. I guess you are reading this message with a grin in your face. Now, how to transfer or change the titles from my name alone to the names of my 2 kids as co-owners, so that when I die they will not have a lot of hassles with succession and taxes to pay? I think the lady expert can do it again for me, but it might take her more than 2 or even 3 years, and this time she might just trap me again into paying her all the agreed on price and take her sweet time to do the job at her convenience, or decide to run away. So I am thinking that I will do it myself this time around, learn while doing and getting the whole business finished before I die. This is what I think I will do: execute a deed of absolute sale to my 2 kids as co-buyers, no money will change hands of course, and the selling price will be the minimum acceptable in law as to incur only the minimum taxes involved and legal costs whatever. What do you say to that idea? Why didn’t the lady suggest to me when I first got to know her about this idea, for I now know that a lot of parents buy property in the names of their kids but keep the titles to themselves? Now you know that even though I imagine myself to be informed and clever, still time and again I have in my lifetime so far and it is not yet over, learned that I had acted at times fortunately rarely but still deplorable on my part in dismal naiveté. Anyway, what do you say about my idea of transfer by deed of absolute sale to my kids? Again, allow me to recommend you highly for sharing your information freely, can’t say the same for a lot of lawyers. 2. We are 5 children but my four siblings agreed to waive their rights to me. 3. The land is only 184sqm and accdg to the assessors office, the zonal value is only 1200 per sqm. 4. How much will we pay in all to be able to transfer the title to me? our mother agreed to “donate” her share as well. Thank you very much for answering all my queries. Now I know what to do. i have made a comment on your idea sir johhny regarding your concern about the practicality and legality of having the property titled in your name and your mother. but i cannot find the said comment in this forum. i am sure i posted it here. you may address your concern directly to mam cherry sir. i am here only to help and share my thoughts. this will be my last post. thanks for the opportunity. Thank you for your comments Sir Vic. I believe we have approved all your comments, perhaps there was just a delay because we were busy over the weekend. Your comments and effort are much appreciated. Thank you. please consult your concerns kay mam cherry at sa lawyer na kilala mo. hindi po ako abogado. 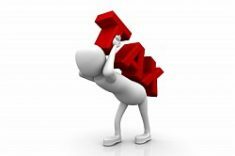 is transfer of shares of stock to husband from his wife (both living) using the deed of assignment, as the form of transfer required by SEC taxable? At puede ba ipa-cancel yun certification na-issue ng SEC regarding Foreign Investment Act (FIA)? 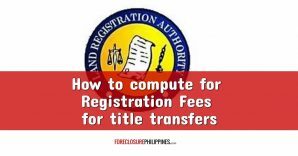 transfer fee and RPT/SEF will be paid at the City Treasurer’s Office while the other fees will be paid at the ROD. For the estate tax and donors tax, the returns will be filed and paid with the Banks as accredited with the BIR/ or with the BIR collection agent if applicable. Be aware of the proper venue where you will file and pay the said taxes. The Revenue District Office where the decedent was a resident at the time of his death should be the proper venue . The same residency requirement is also true with respect to donors tax. However, you must still secure a computation sheet with the ONETT Division of the BIR before you can file the return and pay the said taxes. Thank you very much for your prompt reply. Sir, I have a follow up question, I’m gonna seek your advise. The idea is, what is the right approach for me to lessen my taxes. I have an idea, but don’t know if this is legal/possible or not. Here is what I have in mind. The first scenario is base from no.2 computation, that is I need to pay the donor tax plus the estate tax. what happen after paying those taxes the Title will now be transfer to my name alone. On the other hand, what if I don’t pay the donor tax, and just pay the estate tax, will the Title be in my name plus the name of my mother? (Note: my two brothers waive their rights in favor of me) If this is so, in time, my mother will die, and since the Title is in my name with my mothers name, will I be paying for the estate tax only and no more donor tax, because the other half is already in my name. the other half is in my mother’s name, thus estate tax will be the only tax im going to pay. Is this idea correct? you may have a seemingly ideal and simplified solution to your problem. but in my opinion, that may not be the best solution if you want to maximize your proprietary rights. instead of owning 100% of the said property if you just pay the donors tax (84,000 pesos) and estate tax, you will get a lesser area once you let this lucky opportunity pass- (the chance of your mother donating all her conjugal share solely in your favor. since lady luck must have smiled at you just for this fleeting moment, grab that once in a million opportunity just to be sure and legally appropriate that property just for yourself immediately. there is truth to the saying that opportunity may knock on your door only once. 1. hereditary share (1/2 ) – as all of them donated their shares solely in your favor, you presumed that the 1/2 share of the said property (representing the hereditary share from the estate of your father) will be titled in your name alone. 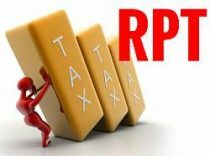 as you may have known, no donors tax will be paid because of the abovementioned BIR regulation (general renunciation of hereditary share- exempt). you may have a correct idea on this one. 2. conjugal share (1/2)- as you dont want to pay, for lack of money, the donors tax for the waiver of the conjugal share of your mother , you would like that in the meantime, the 1/2 share of the said property will still be entitled in the name of your mother and just pay for the estate tax when she will die in the near future. according to you, your siblings will no longer have the right to inherit the 1/2 share of your mother in case of her death because they already executed a waiver in your favor. in reply, that is not possible under the law. consider these provisions of law under the civil code particularly on wills and succession. 1. Article 905 of the New Civil Code provides that every renunciation or compromise as regards a future legitime between the person owing it and his compulsory heirs is void, and the latter may claim the same upon the death of the former. but they must bring to collation whatever they may have received by virtue of the renunciation or compromise. 2. Article 1347 of the NCC provides in effect that no contract may be entered into upon future inheritance except in cases expressly authorized by law. According to Edgar Paras in his commentary book, the reason for Article 1347 is simple: The right to a future legitime is a mere expectancy, an inchoate right regarding future inheritance. Hence, it cannot be made the subject of a contract as it is against public policy. The nullity may be claimed by any compulsory heir who has been prejudiced. 1. Article 905- if your siblings will waive and make a contract that they will commit or oblige themselves not to receive their future inheritance or shares on the 1/2 share(conjugal) of your mother should the latter die, that contract or renunciation is VOID (NOT VALID). your siblings can still claim their inheritance once your mother will die even if there was a previous agreement because the said waiver IS VOID in so far as their future shares are concerned . Although there may be collation of donation, the said collation might not work in your favor if your siblings have not received anything of value by virtue of the renunciation or compromise of their future inheritance( ex: nothing was given to them when they waived their shares ). in other words, your siblings can still claim their legitime once your mother will die even if they will execute a renunciation today. 2. Article 1347- if your siblings will execute a renunciation in your favor in so far as the 1/2 share of your mother is concerned, that renunciation is void as it cannot be made the subject of a contract. in other words, your siblings can still claim their share from you when your mother will die notwithstanding the waiver in your favor. as the law said, when the contract is void, it produces no legal effect. thus, that renunciation by your siblings in your favor cannot produce a legal effect in your favor. legally speaking, you may have a noble idea but the abovementioned law might not work in your favor. try to consult this matter to practicing lawyer. I might be wrong. But this is how I appreciate the facts governing your case. if that 84,000 donors tax is too bitter for you to swallow at this moment , consider the possibility of conflict in the future between you and your brother. That 84,000 is still not enough to hire the services of the effective lawyer that you will be hiring to defend your proprietary rights on the said property. and considering the abovementioned provisions of law, you will likely lose your case afterwards. thus, you might want to consider other options, like borrowing money from relatives, from your siblings or from your mother in order to pay that donors tax. YOu are still lucky even if you must swallow that bitter pill because you were able to own 1/2 of that property for a measly value of 84,000 pesos. that is a small change as compared to purchasing a property for millions nowadays. SUMMARY: PAY THAT 84,000 DONORS TAX AND 7,500 ESTATE TAX AND YOU NOW OWN 100% OF THAT ABOVEMENTIONED PROPERTY . YOU NEED NOT WORRY ABOUT SPENDING AGAIN FOR THE ESTATE OF YOUR MOTHER, OR WORRY ABOUT THE POSSIBILITY THAT YOUR SIBLINGS MAY CHANGE THEIR HEARTS AND INSTEAD DECIDE TO PURSUE THEIR SHARES AGAINST YOUR FAVOR. AFTER PAYING THOSE TAXES, CONSOLIDATE THE OWNERSHIP OF THE SAID PROPERTY IN YOUR NAME ALONE. 2. ROD fee ( P 8,796.00 for the first 1,700,000 pesos and 90 pesos for every 20,000 thereafter). 4. RPT/SEF- secure a tax clearance thereafter. it is the Real property Tax clearance that must be presented to the ROD. 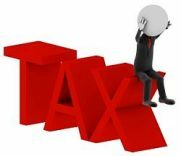 without knowing the amounts of the various conjugal deductions of the estate of your father, i can make an immediate estimate that the estate of your father is exempt from estate tax. AGAIN, i cannot vouch for the accuracy of the abovementioned computations because i was not able to personally examine your documents. the zonal value may not be the same as what you represented. or there are other things you might have failed to disclose. hence, seek the advice of professionals to achieve best results. Ano po ang penalty ng failure to file Notice of Death? Based on RMO 19-07 iniisip ko po P1,000 if you consider it as a violation for which no specific penalty is supplied. What do you think? Based on practice , as has been instructed by our superiors and as directed during our training seminars, the penalty for failure to file notice of death is based on the schedular rates as provided by RMO 19-07.
so there you go. the amount that is supposed to be paid is 10,000 for compromise penalties. however, a bir examiner may be prevailed upon by a respectful and friendly taxpayer to lower the said penalty to one degree lower based on office practice. that is the authority of the BIR examiner to decide at his own level. after that one degree lower penalty, any amount lower than the said reduced penalty would have to be brought to the attention of the concerned superiors. 2 )3,000,000 divided by 2 = 1,500,000, since only the mother is still alive. thus is the computation will be base on 1,500,000 and from the tax table it will be 44,000 plus 8% in excess of 1,000,000 that will be 500,000 x 8%=40,000. The total amount is 44000+40000= 84000. First of all, I would like to express my sincerest condolences. I am so sorry for your loss. With regard to the property, since it is conjugal, half of it is subject to estate tax while the other half which is your mother’s share, may be donated to you by your mother subject to donor’s tax. With regard to the half which pertains to your father (I assume that he left no will), you, your siblings, and your mother will be sharing in that. If my memory serves me right, if your mother and your siblings all renounce their rights to their share (in general), and there is nobody else to inherit, you will get the entire half and the renunciation is not subject to donor’s tax. Please consult your lawyer also. YES . MAM CHERRY is correct. BUT I WOULD LIKE TO MAKE SOME EMPHASIS. 1. the general renunciation by the wife and the other children in favor of an co-heir where the other co-heirs were not excluded or disadvantaged by the general renunciation is exempt from donors tax. however, emphasis must be made that the exemption only applies to the hereditary shares and not to conjugal shares. with respect to the conjugal share of the surviving spouse( wife), the said exemption does not apply. the waiver of the conjugal share by the surviving spouse in favor of one heir even if the other co-heirs were not disadvantaged or excluded is always subject to donors tax. consider this scenario. the father of johny chin died a month ago leaving the following as his heirs. – THUS , THE SAID SHARES ARE EXEMPT. QUERY: a question may be asked if when an heir is considered disadvantaged. consider this scenario. if only the mother and jimmy waived their hereditary shares in favor of johnny, james is considered to be placed in a disadvantaged position because he was left out in the said donation. furthermore, it is not considered a general renunciation by the heirs as james refused to donate his share in favor of johhny. in this case, the exemption does not apply. 2. CONJUGAL SHARE BY THE WIFE- even if the wife waives her conjugal share in favor of one heir, the same is still subjected to donors tax. please refer to the first part of RR 2-2003. Thank you sir Vic. Much appreciated. Thank you so much mam cherry. Hi again mam cherry, to my follow up questions, what if I don’t have the money to pay the donors tax now, and only pay the estate tax, what will be the outcome of my real property title. (Note: my two brothers waive their rights to me). If, name of my mom and me on the title, what will be the sharing , if later on mom dies, how much should I pay for the estate tax again. hi po, the taxable base for land is 1.6M and 1.4M for building, how much will be my donor’s tax ? tnx. before you will know your exact liabilities, from basic donors tax , surcharge, interest and compromise penalties, you must know your taxable base upon which the said charges will be based. based on your post, we really can’t determine the zonal value of your property. 1. what is the lot area of your property? 2. how much is the market value of the building per its tax declaration? 3. who is the donor? who is the donee? how are the two related to each other? please be specific. 2. surcharge (25%) – accrues on the 1st day after the deadline. the same is already fixed even after so many years. it is always 25%. if there is willful failure to pay the tax or there is a fraudulent intention to pay the tax, the rate for the surcharge is no longer 25%. it is increased to 50% because of the presence of fraud. 3. interest at the rate of 20% a year. consider the rate as divisible by 12 months or 360 days. 4. compromise penalties which is based on RMO 1-90 , as amended by a later RMO ( i forgot the specific number of the said amendatory regulation or memorandum order. please let us the details of your donor’s transaction first before you can get a detailed answer. thanks. my name is vic mam. its ok. i will try my best in addressing the questions of your readers. however, it would be better if they seek professional advices from practicing cpa and lawyers. My computations are not infallible. though they are based on my previous 10 experience as a bir examiner , it would be best if my computations are subjected to scrutiny and review by others who may have better answers. i may have failed to consider one or some aspects which would change the answer of any given computations. hi po, i have a deed of donation notarized dated july 13, 2012. i want to know how much would be my penalty, my latest tax declaration amounting to 3M (land and building) zonal value 16,500. where do i based my computation regarding penalties of not transferring title to a living person. is it monthly penalties? or yearly? thank you. Can you kindly clarify please? What do you mean not transferring title to a living person? Penalties are 25% surcharge + 20% interest per year + compromise penalties. The 20% interest you can count per day so times no. of days over 360 days. Tax base is the net gift for the year. Do you mean zonal value P16,500 per sqm of land? We need to multiply that first with the no. of sqms then add the tax declaration value of the improvements. Compare with the tax declaration value of land and improvements. The two mode of estate planning tool that you mentioned, specifically the corporate mode and the donate mode, have their own advantages and disadvantages. Each mode has its own merits and demerits. It all depends on what are your ultimate objectives vis a vis your heirs/beneficiaries in transferring your title before your death. in the end, all your questions may never be answered here in the Internet. My advice is you may personally contact and meet Atty. Cherry Castillo and ask for her legal and financial advices on this matter. As an alternative, you may also ask from lawyers there in your locality. but make it sure that you are dealing with the right lawyer with vast experience in taxation and financial planning. Its a must also that he knows estate planning. Thank you sir. I agree that there are many considerations in tax planning. FYI po, I don’t do personal tax consultation po, I just make blogposts which are free for everyone to read, and answer comments in general. This is my way of giving back to the Filipino people who financed my public school education. A, a widow, lives on her own property. She donates her property to her only son B who is married to wife C. Unfortunately, B dies before A, leaving the wife C as the sole heir to the property. After a few years, the widow C remarries, and decides to kick out A from the property. That is why Atty. Angelo Cabrera, author of the book “They Will Be Done – Understanding the Why, What & When of Estate Planning” suggests a different solution… write a will to distribute the property only upon death and get life insurance that will cover the entire estate taxes. You will end up paying much much less in insurance premiums compared to paying the donor’s tax or estate tax. As I said in another comment in another post, I agree that insurance can also be an estate planning tool. I wrote an article about it way back 2004. There are many tools and which one to use depends on the peculiar circumstances of the one planning his/her estate. I also think you should have disclosed that you are an insurance agent, just so the readers know where you are coming from. Thanks for this posting. Great knowledge! All along I was bent on going for Corporation as an Estate Planning tool. How does these two (Corporation vs. Donation) square off? You can actually use them together. Setup a corporation (or corporations) then donate a certain amount of shares every year. If the corporation will be the one to buy the property, then it will be good since in a way you can “lock up” the value of the property. The value of real property remains the same in the financial statements as it is based on acquisition cost (unless of course you have an appraisal increase). The FMV of shares is based on the book value per FS, not on the value of the property which it holds. You may want to look at RR 6-08 and RMO 15-03 on the transfer of shares. In the future, should you wish to transfer the property itself, the corporation should not be engaged in the real estate business so that there will be no VAT on the transfer. Now, if the property is still in the name of individuals and you plan to transfer it to a corporation via a tax-free exchange, this is not advisable during this time considering the current BIR environment. Tax-free exchange rulings are very rare. Actually, since all BIR rulings are signed by Atty. Henares, any transfer that would require a BIR ruling is not recommended. If time is of the essence, it may be better to explore other options for transfer. As Ronald mentioned, if the property is in a corporation, the shares my be donated slowly over a period of many years. Based on experience, also, it is also easier to transfer shares of stock vs. real property. Note too that the CGT for sale of shares of stock not listed in the stock exchange is 5% on the first 100,000 and 10% in excess of 100,000 net capital gain (vs. the higher between selling price and FMV for real property). Here’s a tip I got in a CPE class by Atty. Ariel Martinez. You can time the donation you make to maximize tax savings by taking advantage of the calendar year. If you’re going to make donations, do it on Dec 31 and then immediately on Jan 1. Yes, calendar year. Thanks Ronald. “If you purchased a property below its fair market value (FMV), the difference between the FMV and the selling price shall be deemed a gift of the seller, subject to donor’s tax. This is also called a transfer for less than adequate consideration”. Since your website and topics dwell mostly on real properties, please clarify and further elaborate on your abovementioned conclusions. Thank you Sir. This was on my mind last night but it seems I forgot to write it. I will edit my post. 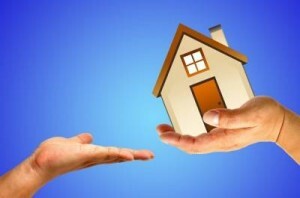 Real property for which the CGT has been paid is not covered by the provision on deemed gift. I sincerely appreciate your comment. Thank you. thanks for the clarification mam. you have an educational post. it is rare nowadays that we can find someone learned and professional like you posting free educational tips here in the internet. we look forward to your succeeding articles. So it turns out that donation for properties above 1,000,000 will turn out more expensive than a direct sale, given that you can sell it to your descendants at zonal value. That’s why we did not follow this route at the advice of our attorney. After a certain point (but not 1M, as the tax there is 44k + 8% of the excess over 1M), direct sale may be better tax-wise. However, take note that a simulated sale is void so if the nature of the transfer is really donation (specially if the donee obviously has no means or capacity to pay the selling price), then it’s safer to go the donation route. Also, if the property is mortgaged, and the donee assumes the mortgage, the net gift may be lower so the donor’s tax may be lower as well. i WANT TO EMPHASIZE WHAT YOU HAVE JUST SAID. THOSE STATEMENTS WERE WELL-SAID. THEY WERE very GOOD ADVICES. “However, take note that a simulated sale is void so if the nature of the transfer is really donation (specially if the donee obviously has no means or capacity to pay the selling price), THEN IT IS SAFER TO GO TO THE DONATION ROUTE”. “Also, if the property is mortgaged, and the donee assumes the mortgage, the NET GIFT MAY BE LOWER (taxable base minus mortgage) so the donor’s tax may be lower as well”. Thanks for the advises mam. Hi Mayklot1, are you from HGC? Would you want us to feature your listings of acquired assets and also your website? Thank Mayklot1..!! Very informative indeed. Thanks you Ms. Cherry. Actually, the properties were way above 1M, clean title & with capacity to pay. Thanks again. mr eastgen. that is not an absolute rule. as they said, hasty conclusions make for a hasty decision. as an advice, please check if the property donated is conjugal. if it is conjugal, then there are two donors -the husband and the wife. they are respective donors in their own rights (1/2 for the husband and 1/2 for the wife). Thank you Sir. I was thinking of making sample computations but thought the article would be too long. Your sample computations are much appreciated. a 500,000 property could cost you 14,000.00 donors tax , not 20,000 as earlier posted. THANKS FOR THIS NICE AND EDUCATIONAL POST. Thank you for your inputs. I did not mean it to be an absolute rule. Pardon me if it came out as such. However, rest assured that we consulted several lawyers & accountants and they came up with the same computations & conclusions. Nothing was done in haste and none of the circumstances you presented were present in our case. Also, as this happened several years back, it would be pointless for us to check since what has been done is done. I just reacted to Ms. Cherry since the Donation route wasn’t advisable for us. I shouldn’t have pegged the cut-off price at ABOVE 1,000,000. I should have said way above. As Ms. Cherry said “after a certain point….”. Its a matter of doing the computations after all. Thank you for the clarifications. I am glad to know that you were ably assisted in comparing the different modes of transfer as well as the advantages, disadvantages, and tax savings for each. I agree with you that comparative computations are very helpful in decision-making. if my land worth 1.6m and 1.4m building, manila area, do i go for deed of donation or deed of sale? tnx.